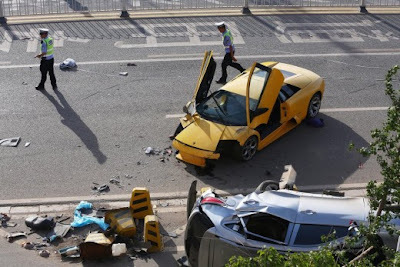 Lately too many news coming from China are related to the wreck of expensive supercars, and unfortunately even today we know about a crash of Lamborghini Murcièlago with a terrible result. 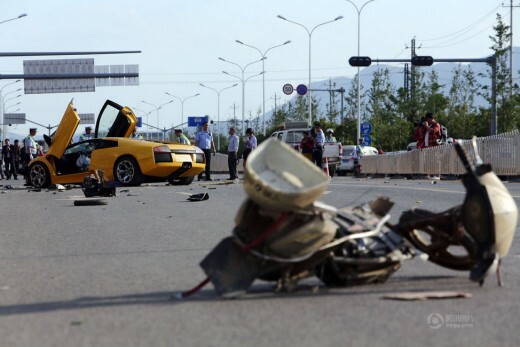 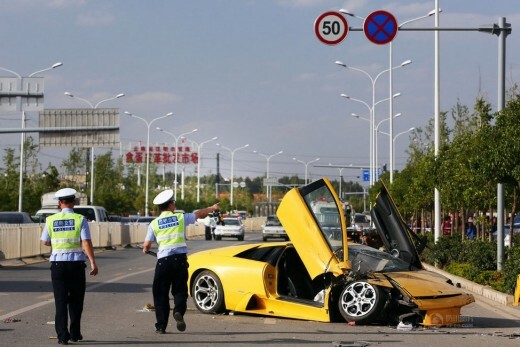 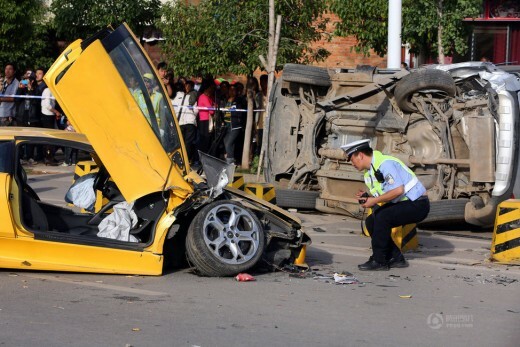 The mechanic of a workshop was out to drive the 2006 Murcièlago and lost the control while speeding at at over 200kph by colliding into a SUV and a motorcycle in the city of KunMing. 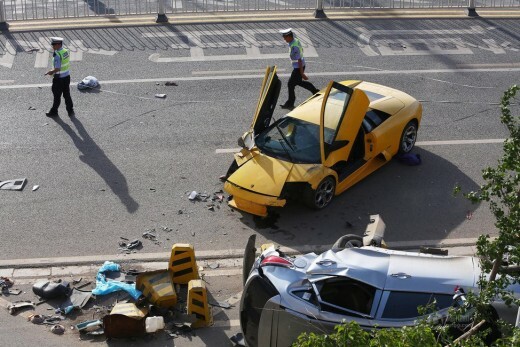 The SUV rolled over and even worse, the guys at WreckedExotics reported that the biker lost his life.